Can Affect Everything in Your Life. GET HIGH ON LIFE AGAIN. South Coast Counseling Can Teach You How. START THE ROAD TO HEALING. Our Addiction Treatment Program Can Help. Addiction is a serious condition whose effects can ripple out and negatively impact every aspect of our lives. Whether the drug of choice is alcohol, opioids, or the abuse of prescription medications, coming to terms with the existence of the problem can be very difficult. The prospect of summoning up the courage to seek out an answer, to ask for help, can be even more daunting. However, please know that addiction is a disease, and you should not feel ashamed to reach out. 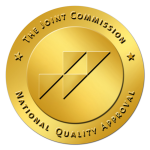 South Coast Counseling is fully accredited by The Joint Commission, the nation’s oldest and largest standards-setting and accrediting body in healthcare. This accreditation is the highest level possible for an addiction treatment center and reflects the rigorous standards of clinical excellence and comprehensive facilities necessary to achieve the accreditation. addiction takes everything from you. It’s Time to Find Yourself Again. 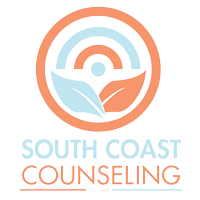 For over 45 years South Coast Counseling has been treating those who suffer from mental illness and substance abuse. Our unique approach to individualized treatment allows each client to experience their own treatment program. Whether you are addicted to heroin, or are depressed and drinking excessively, we can help.